White Day is a cult classic in every sense of the word. Released first way back in 2001, it’s a game that’s still getting discovered to this day, with a mobile port from a couple of years ago. Now that it’s getting a release on modern platforms (PlayStation 4 and PC), it’s finally going to get the recognition that it deserves, because whoo boy does it deserve a lot of recognition. I’m going to save most of my thoughts about the narrative side of things for the review itself later in the month, because there’s a lot to unpack there, and with the way the game feeds off Chinese Taoism spirituality and philosophy, it’s a game with a unique tone that my bewilder some players - hence the game’s cult appeal. But for the sake of the preview, I’ll instead look at various mechanics, as well as the all-important question when it comes to horror games: is it scary? White Day is completely terrifying. The presentation itself is quite simple - this is a game from 2001, after all, and however well it has been scrubbed up, it’s a simple looking game. There’s also a very significant “B-grade” theme running through the writing, which is clunky and downright odd at times. The initial impression of the game is that it can easily be a “new” Deadly Premonition - some people are going to find the thing too completely weird to bother with. For others it’s going to click, and the roughness of the overall package is going to be easy to ignore for what’s buried inside. Make no mistake, I think this is a remarkably smart game, but it’s one that often feels like it’s going out of its way to alienate anyone who tries to understand it. Either way, though, the game is terrifying, because the atmospheric buildup is intense from start to finish. Part of this is because the game relies on older mechanical conventions to unsettle you as you play. For example, much like the earlier Resident Evil games, the ability to save is a finite resource. In Resident Evil you needed to find ink ribbons to save progress at a typewriter. In White Day it’s whiteboard markers, and you’ll be saving the game by using a marker up to write on a whiteboard scattered through the haunted school once. When those whiteboard markers are so scarce you’ll be really second guessing whether you should try and push on a bit further, or save the game so as to not lose progress. Those times you decide to push on will really get the palms sweating. And you’ll swear if you then make a mistake and get thrown way back to the last save game. I swore quite a lot. That might seem like poor game design by modern standards, but to be honest, I find too many horror games lose their edge because they make it too easy for the player. The clumsy tank controls of Resident Evil, the generally poor combat of Silent Hill and save game systems like what those and White Day have all work to strip control and agency away from the player, which in turn ratchets up the tension as you were playing. None of these games could rely on raw graphical power to display the kind of hideousness that Resident Evil 7 or Outlast 2 does, but those games play so well they feel like horror-themed action games. White Day is a genuine horror experience, where the entire game conspires to make you feel helpless, alone, and in great danger at all times. It’s atmospheric and it’s terrifying. There is no combat in White Day, and coupled with the school setting, I was immediately making connections between the need to run, hide and avoid in this one to another stalker horror classic - Clock Tower 3. 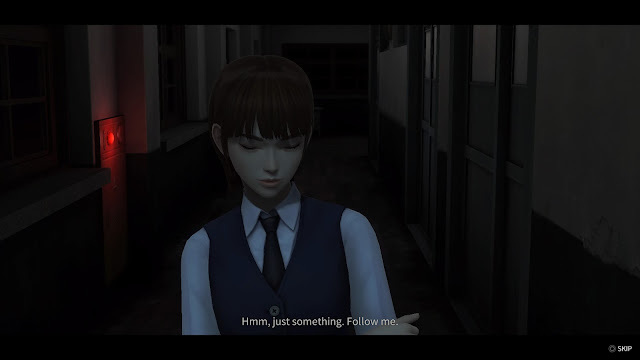 The narratives are completely different, and this one is actually set in a school, rather than just featuring a school girl, but I was feeling the same rush as I played hide and seek in White Day. The way puzzles and the like are structured is also a complete throwback to what, to me, was the golden era for the genre. Speaking of the school setting, I’m only in the early stages, but schools are a perfect setting for horror, both from a thematic and mechanical perspective. Thematically, a school is a place of innocence, and horror is always at its most effective when it’s set against innocence. This is reinforced by White Day being set at, well, White Day, which is a sweet little tradition throughout Asia. In Asia, a girl will give her boyfriend or crush a gift on Valentine’s Day. One month later, on White Day, the boy is meant to respond by giving a gift in return. With the premise for the game being the protagonist male is looking to give a girl her diary back, there’s a sweet innocence to the setup of White Day which makes the horror instantly more compelling as a result. 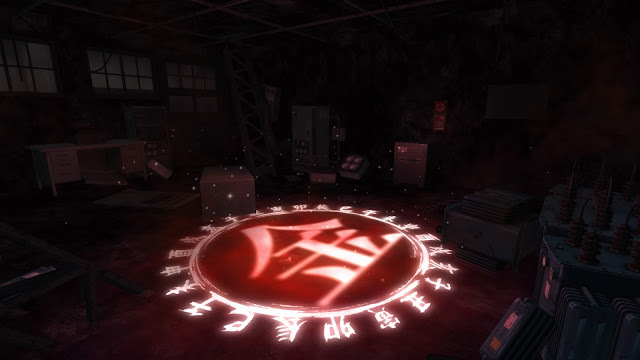 Related reading: More on Clock Tower 3, which shares some stylistic, thematic, and mechanical elements with White Day. But the school setting also works for the game mechanically, because schools are known for long corridors, lots and lots of doors, and a repetition in the design of those rooms. These are all architectural design elements that a smart horror artist can take advantage of, and as I wrote earlier, I think the team behind White Day are very, very smart. The atmosphere of White Day, as well as its various story elements, are intense enough that I am only really comfortable playing the game for short periods of a time - generally long enough to find another one of those damn whiteboard markers, and then I need to give myself a break. I’ve still got a long way to go with this quest, I suspect, but I think, at this stage, that the game is a real highlight of the year for me, and I’m glad that there were developers and publishers out there that saw the real potential for this game, from way back in 2001, to find itself a whole new audience today.